Turkish Airlines is headquartered in Istanbul and travels to 261 destinations in Europe, Asia, Africa, and the Americas, making it the fourth-largest carrier in the world by number of destinations. Turkish Airlines also forms part of the Star Alliance group. Turkish Airlines offers passengers various ways to check-in for their flight. The most convenient, online check in, is open to passengers from 24 hours up to 90 minutes prior to flight departure time. This service also allows passengers to pick their seats. The airport kiosk check-in is also available, where passengers can check in and drop off their luggage at a nearby luggage drop off location. Every passenger on Turkish Airlines is allowed to carry on bag with a maximum weight of 8kg and dimensions of 55cm x40cmx23cm. One personal item may also be carried on board Turkish Airline flights. Examples of items that fall under the category of personal items include: Purses, lap top bags, umbrella, strollers or a camera. Business class and first class passengers are allowed passengers are allowed 2 pieces of hand luggage. Exceeding the aforementioned baggage weight and dimension restrictions will incur excess baggage fees. Passengers’ checked baggage allowances vary depending on their class of travel and airport location. It is recommended passengers check their flight tickets, which will indicate the luggage allowance. 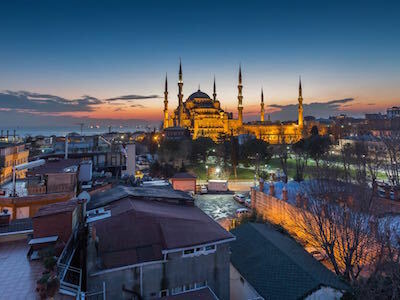 Browse all the Turkish Airlines cheap flights for a fantastic deal and book with eDreams. I am diabetic the flights was delayed, I asked one air airhosted 3 times for water to have my tablets, she keep said ok , the meal was delayed I don't know why , I have my water with the meal. Everything displayed in the schedule was 1 hour off, i almost missed my connecting flight!!!! Well as their was a misprint on my flight ticket reference to my surname I was advised not to go by your staff member, I'm still waiting on a full refund and 're book my my holiday, this inconvenience has caused me stress and anxiety since as um resolve this situation that's still pending ? Please can you investigate my flight handling by your complaints procedure.